How to Save Money to go on Holiday! So, you’ve seen pictures of your friends having a vacation abroad, and you’re probably thinking – “I wish I had the money to go!” – Or, you simply have a bucket list of holiday destinations that you want to visit before you grow old and are also wondering – “How am I going to save up to go to all these places?”. 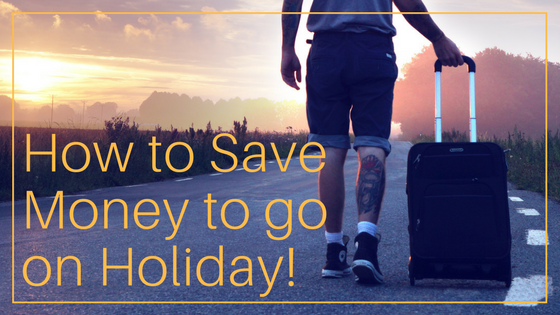 Well, worry not, for we have created for you below proven ways on how to save money to go on holiday! Nowadays, most credit cards offer you cash back on purchases. Simply Google the following: ‘Top Cashback Credit Cards’ and you’ll see a wealth of information on some of the best credit cards on the market. While the cashback may not offer a great deal, it is ultimately “free” money, that can easily be used towards funding two or three nights at a hotel on your holiday. This one is a no-brainer! Collecting miles through credit card purchases is a great way to offset your holiday costs. From car rentals and flights to 5-star hotels, you can save $$$ using a Travel Reward Credit Card. 3) Garage Sale – Sell your junk! So, you’ve accumulated your cashback and are well on your way to earning thousands of miles on your credit card, but you still need some $$$ to fund the trip for your entire family. In that case, why not try selling your junk? Head over to your attic, basement or garage, and search for items you’ve held for way too long and are no longer in need of! You’ll be surprised to find that old mobile phone you had in the 90’s and early 00’s lying around, or some used sports equipment that you no longer use. Whatever it is that you find, can heavily contribute towards your holiday if sold online, to friends and family or by holding a garage sale. This one is pretty simple. Open a savings account. Set up a monthly amount (say $100/month – less than $4/day) to be transferred from your personal / chequing account to your savings account, and in no time, you’ll have saved a decent amount towards your dream holiday! This process is also beneficial to track how much you have saved up, and how much more you need to fund your entire trip. 5) Cut down the extras! If you really are serious about saving up for a holiday, then cutting down on items you can comfortably live without will help you get there! Cut down on your cable and landline, go out less, and cook more at home; You’ll see the difference in your bank account, as well as your lifestyle. So there we have it. 5 proven ways that will guarantee you saving money towards your next vacation! Gala Travels have the best hotel rates and flight deals to the destination of your choice. You can rely on our experienced travel experts to help you book your dream holiday, and also earn cashback on your bookings. Simply call us on: 1-866-458-4252 to learn more.